Literal and metaphorical excavations at Sweet Briar College reveal how African American labor enabled the transformation of Sweet Briar Plantation into a private women’s college in 1906. This volume tells the story of the invisible founders of a college founded by and for white women. Despite being built and maintained by African American families, the college did not integrate its student body for sixty years after it opened. 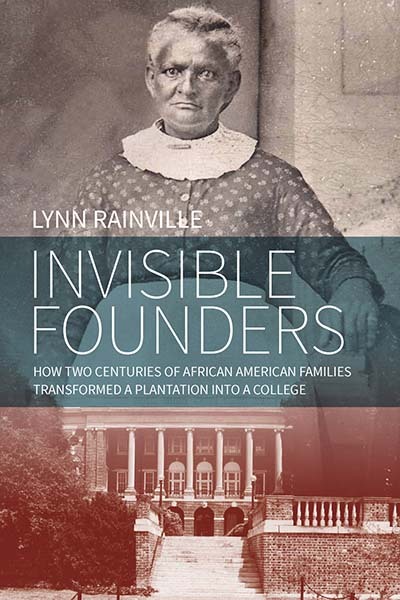 In the process, Invisible Founders challenges our ideas of what a college “founder” is, restoring African American narratives to their deserved and central place in the story of a single institution — one that serves as a microcosm of the American South. Lynn Rainville is the Dean of Sweet Briar College. For over two decades she has studied the lives of exceptional, yet overlooked, Americans. This work has been supported by numerous grants and she has written five books (on Mesopotamian houses, African American cemeteries, Sweet Briar College, and Virginia’s role in World War I). She directs the Tusculum Institute for local history and historic preservation at Sweet Briar College.